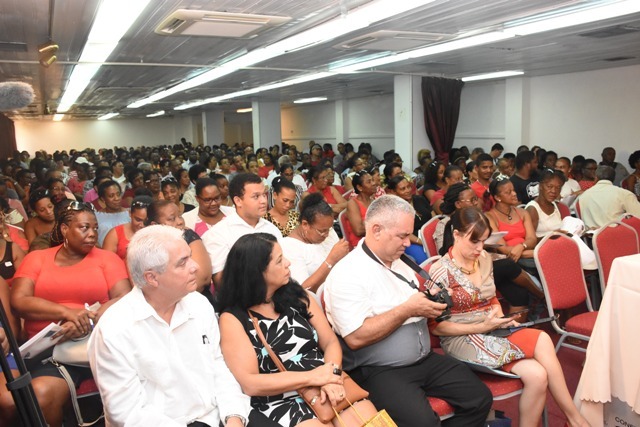 (Seychelles News Agency) - A newly-formed association to promote, encourage and strengthen the ties of friendship between the people of Seychelles and Cuba has been launched in Seychelles. Amigos De Cuba (ADEC) -- which means Friends of Cuba -- brings together Cubans working in Seychelles and Seychellois who studied in Cuba since the two countries established diplomatic relations in 1978. A caretaker committee headed by Simon Gill has for the past three years been setting up the association. There are five committees tasked with overseeing a number of activities including, cultural, educational, health and sports. Speaking at the launch of ADEC on Saturday, Gill, who studied in Cuba for four years, described it as a solidarity meeting. “Decades of economic blockades did not stop Cuba from helping other countries like Seychelles. We do not have much to offer except our friendship, support and to show our solidarity,” said Gill. He added that Seychellois who received a scholarship from the Cuban government to study at various universities can attest to the strong will of the Cuban people who have a deep sense of patriotism and a strong fighting spirit. “Despite internal hardship, they welcomed us with open arms and made us feel at home in their country. Now it is our turn to return the favour and ensure they get the recognition they deserve and can integrate into our society as we did in theirs,” Gill said. Since the establishment of diplomatic relation, Seychelles, an archipelago in the western Indian Ocean, has received assistance in various fields, mainly agriculture and health. There are presently 78 Cuban professionals working in Seychelles in the two sectors, most of them medical professionals working in the various health centres across the country. During the launch, the ambassador presented the Cuban flag to ADEC’s chairperson. The association’s flag and logo, depicting a heart made out of the two countries’ flags, were also unveiled. The caretaker committee was also approved and given a one-year mandate to finalise ADEC’s work in preparation for the first annual general meeting to be held in a year’s time to elect the executive committee. 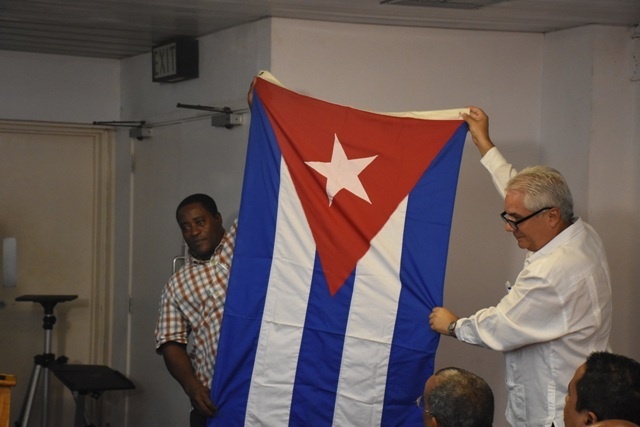 Gill said ADEC is apolitical and is open to anyone who shares the association’s vision to promote awareness and understanding of the Cuban history, culture and society. Seychelles’ first embassy in Cuba was opened in 2017 during President Danny Faure’s state visit. During the visit, the two countries renewed their bilateral cooperation agreement in the health sector.